Dronacharya Award 2016 Winners List: Government on 22nd August 2016 conferred the Rajiv Gandhi Khel Ratna Award 2016 to Olympic medallists P.V. Sindhu and Sakshi Malik; ace gymnast Dipa Karmakar, who lost a medal by a whisker, and shooter Jitu Rai. This is for the first time the nation's highest sporting award has been conferred on four athletes. Dipa Karmakar's coach, Bishweshwar Nandi, has been selected for the Dronacharya Award, alongwith Nagapuri Ramesh (athletics), Sagar Mal Dhayal (boxing), Raj Kumar Sharma (cricket), S. Pradeep Kumar (swimming) and Mahabir Singh (wrestling). 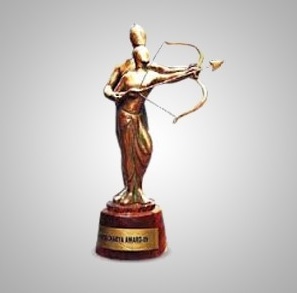 Fifteen sportspersons will be honoured with the Arjuna Award and three with the Dhyan Chand Award. The awardees will receive their awards from the President of India at a specially organized function at the Rashtrapati Bhawan on August 29, 2016.